When we asked that waiter what is the point of the "unlimited" serving they were advertising, the waiter just told us that it has always been their rule. A very shady rule, if I do say so myself. If there's a limit, it shouldn't be called unlimited, right? So, for a while there, I stopped coming to this restaurant. Then when my sister visited, she surprised us with an advanced reservation for dinner at Don Day. 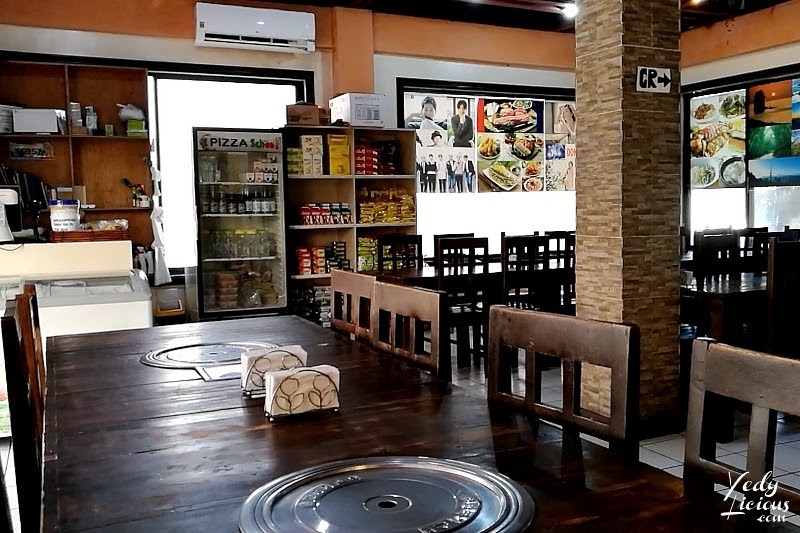 I know how she loves Korean food, so I did not encouraged her to change the venue but I informed her about the so-called-rule that this restaurant has on their misleading "unlimited" samgyeopsal and chadolbagi. She immediately called the restaurant and clarified if there will be a limit on the meat that they will be serving per person. Then she was told that they no longer have that 5-plate-maximum-limit-per-person-despite-it-being-unlimited-rule but they now have dining time limit of two-hours. Two hours. 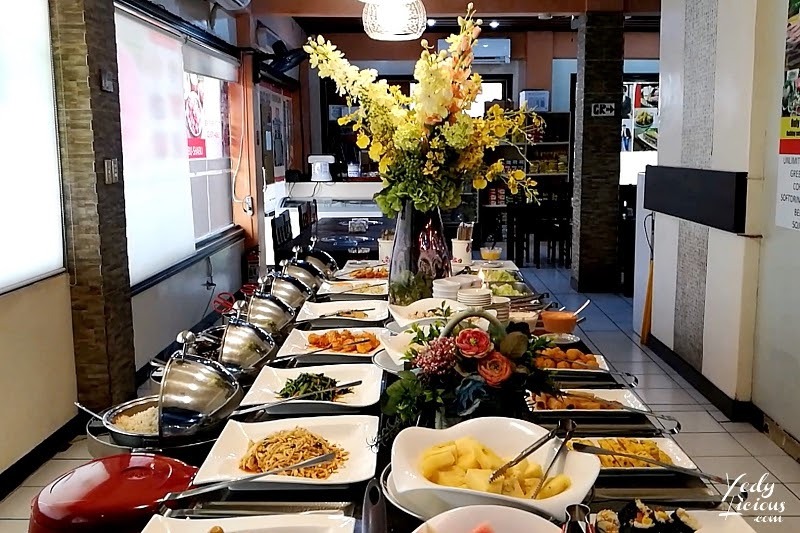 So, if you're the type who eats slow or if you're the type who wants to spend a leisurely meal on a buffet, this restaurant may not be for you. We were planning to visit my favorite coffee shop after dinner so we figured that two hours should be enough be enough. Our group availed of the unlimited samgyeopsal and the buffet. We also availed of the shabu-shabu hot pot. I appreciate that they did not play their shady card this time, because we were given heads up from the get-go that their shabu-shabu is not unlimited and there should be a minimum of two orders per group. 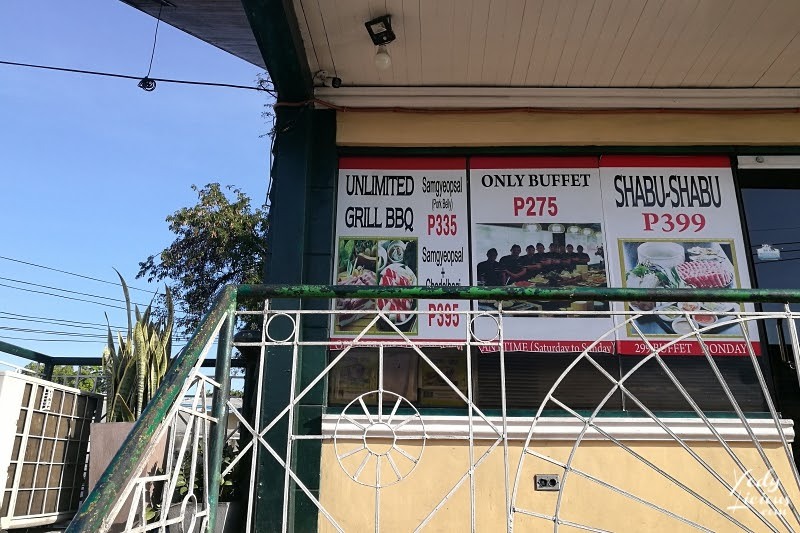 Meaning, if you are a group of four and would want to avail of the shabu-shabu, two of you must avail it and the other two may opt for another offering. The buffet spread has a decent number of choices. 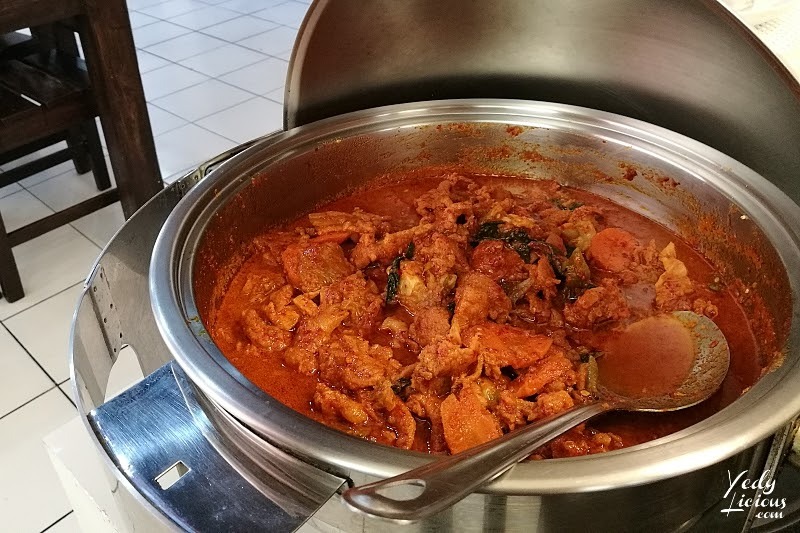 We were told that during weekdays, the choices are pretty much similar every day except for weekend when there's a special dish or two that show up on the spread. Most of the time, it's Jokbal (Korean Braised Pig Trotter). It was Friday when we visited, so we don't have that special dish on the spread. 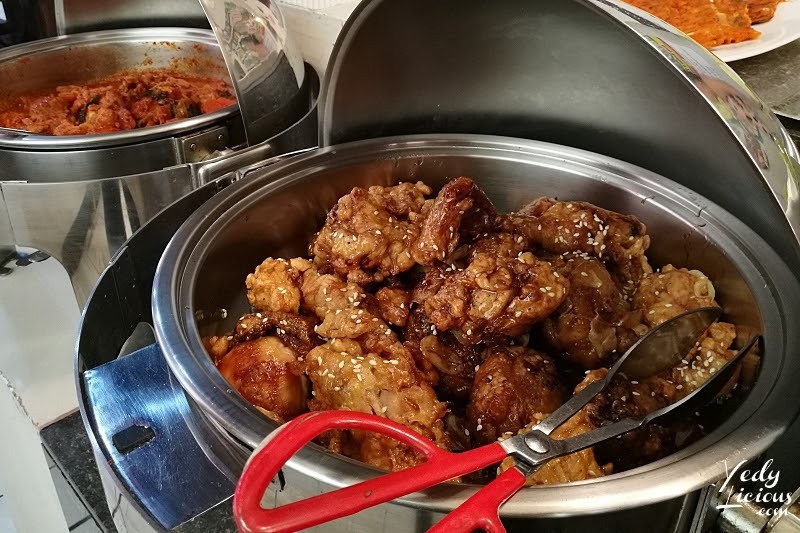 The banchan section boasts of braised baby potatoes (algamja-jorim), Korean soybean sprout (kongnamool), spinach side dish (sigeumchi-namul), stri-fried Korean fish cake, different kinds of jeon, breaded tofu in sweet and sour sauce, fried potato balls, and kimbap. 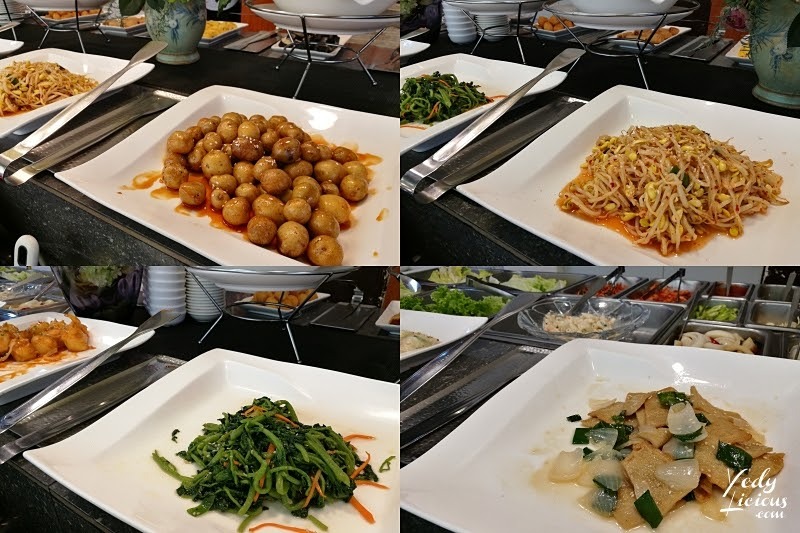 Most of the appetizers taste good, especially the spinach side dish, the potato balls, and the egg roll (gyeran-mari). I also remember having pork lumpia which isn't really a Korean dish but a crowd's favorite nonetheless, hence not included in the picture because it sells too fast. The usual Korean barbecue accompaniment comes aplenty. I appreciate that the lettuce leaves are always fresh. They are not that quick to refill the main dishes but the leaves and kimchi varieties are always replenished pronto. 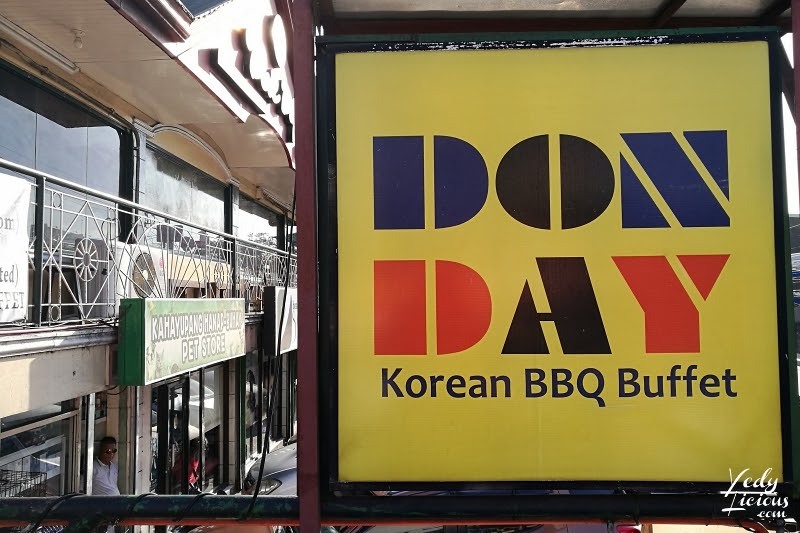 Now one of the things that I like about Don Day is their kimchi is always, always delicious. Be it the usual napa cabbage kimchi or the radish kimchi, I am always guaranteed that I get to enjoy it to the last bit. It is nice that they sell their kimchi in their mini grocery which is also located within the restaurant. I just wish that they start selling their radish kimchi as well. 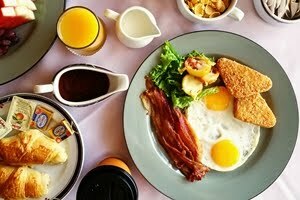 The main dishes also offer decent enough selections. Their spicy pork bulgogi has nice texture and flavor to it. I love that the pork slices were tender and the spiciness of the dish was distinctly Korean. This was present on both times that I visited Don Day, and while I appreciate its deliciousness, I wish to try the galbi jim that was often the replacement in lieu of the pork dish. Their Korean fried chicken was also good. It leans more on s sweeter side of the spectrum which makes it a favorite among the kids and adults alike. It was crisp and slightly tender at the same time if you're able to choose the right part because as you may have known, chicken breast part tends to be a bit drier. 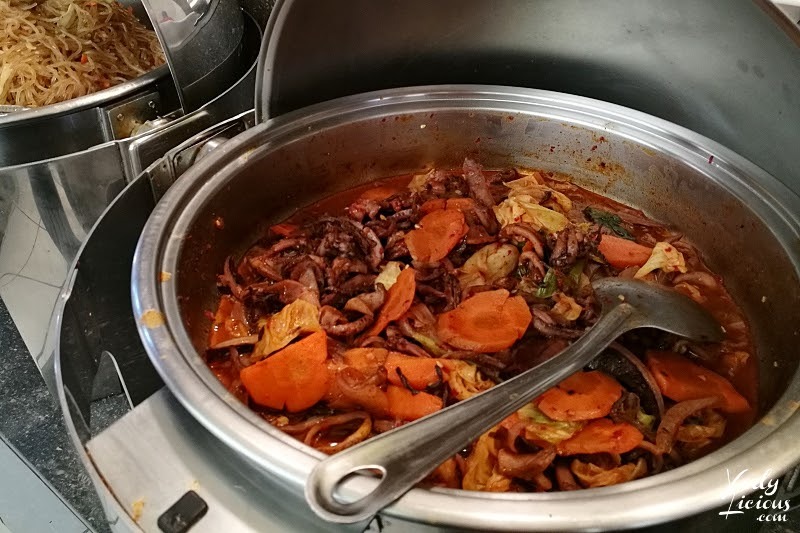 There's also the stir-fried spicy squid (ojingeo bokkeum) which I find a bit tough in terms of texture but has a really nice spicy seafood flavor. If the squids were a bit tender to the bite, this dish could have been perfect. 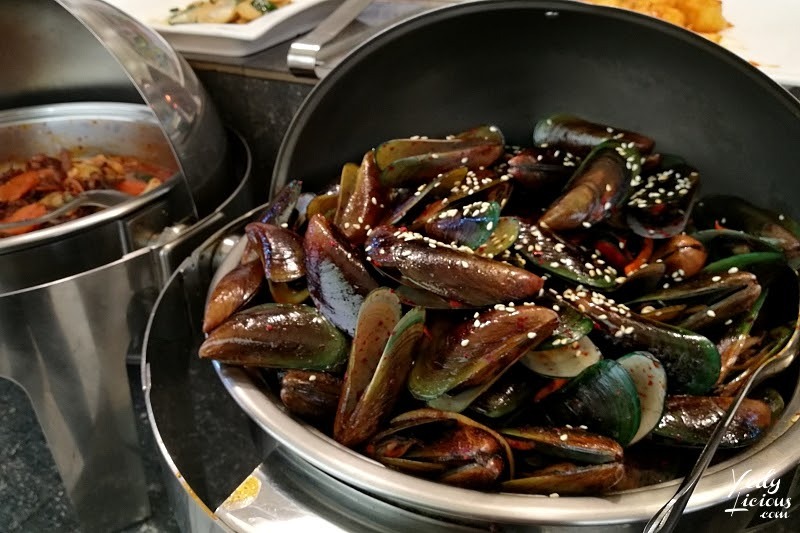 There's also spicy mussel dish which I don't really care much about but majority of my dining companions enjoyed so much. So, it might be worth the try just in case you are one of those who loves mussels. 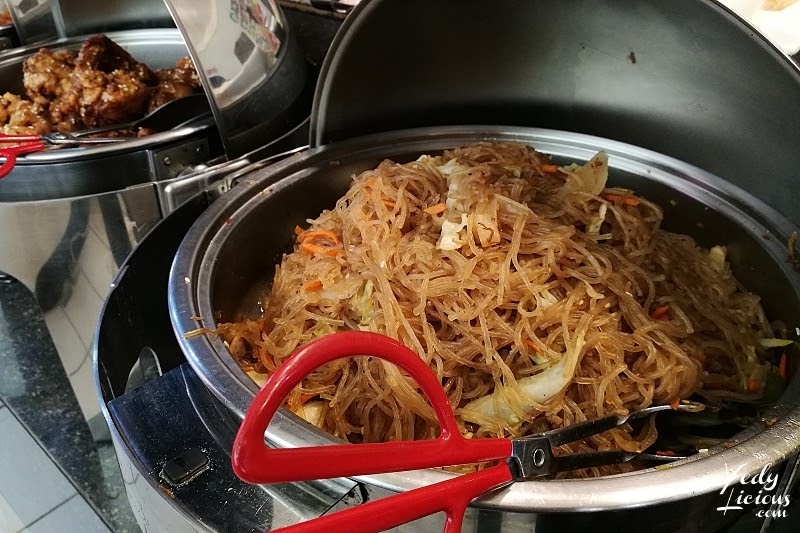 Now, the photo in this blog post didn't do justice in anyway but let me tell you that Don Day's Korean glass noodles or japchae was a pure delight to the bite. It was not very generous on the ingredients the way a japchae should, but the flavor was always spot on. I swear, I could go back to Don Day to just enjoy their japchae and I will still be a happy camper. 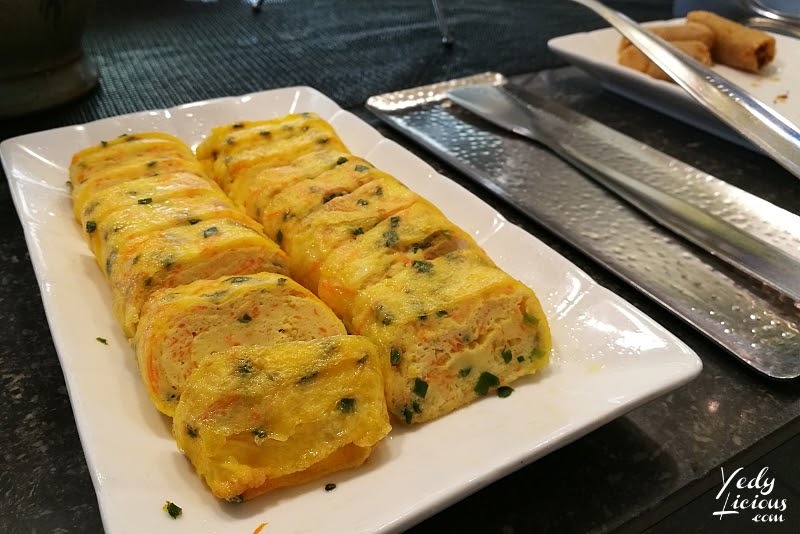 It's really one of the buffet options that should not be missed when dining at Don Day. The Korean spicy rice cake (Tteokbokki) was also good. I often cook this at home. 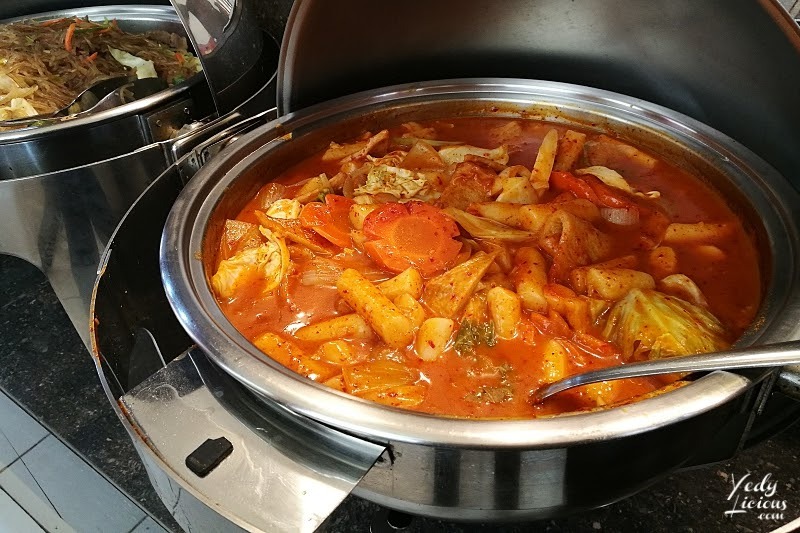 I have a Tteokbokki recipe here on the blog and a video recipe on my YouTube channel, but I still find bliss whenever I am eating a really good tteokbokki in restaurants. I am happy that Don Day's version was good. Now to be honest, ever since the time when I felt that Don Day deceived us with their "unlimited" samgyeopsal 5-plate-maximum rule, I really lose my interest with this restaurant. Two of my friends also told me that they experience the same thing before so they never came back. And although they have changed the rules now, I don't think I will ever order their unlimited meat again because the incident really left a bad taste in my mouth. 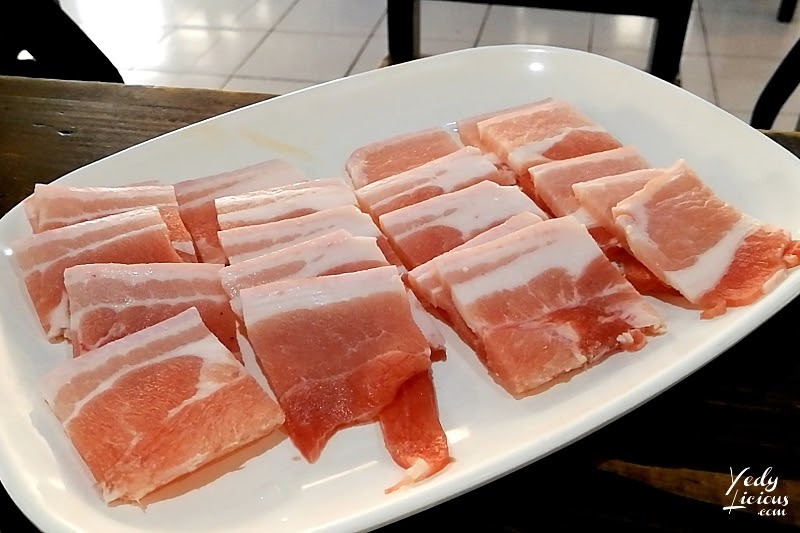 During our recent visit, my sister opted for the unlimited samgyeopsal and stopped on her second platter of pork because while the pork was not that bad, it was not that spectacular either. It's a good thing that the dishes on the buffet spread were up to her liking otherwise I would really feel bad for her. What I did availed of during our recent visit was their shabu-shabu hot pot. Since it was not unlimited, diners are allowed to share it with their companion unlike the unlimited samgyeopsal and chadolbagi. What was shown in these photos was the two-person serving size which was the minimum order they can accommodate. 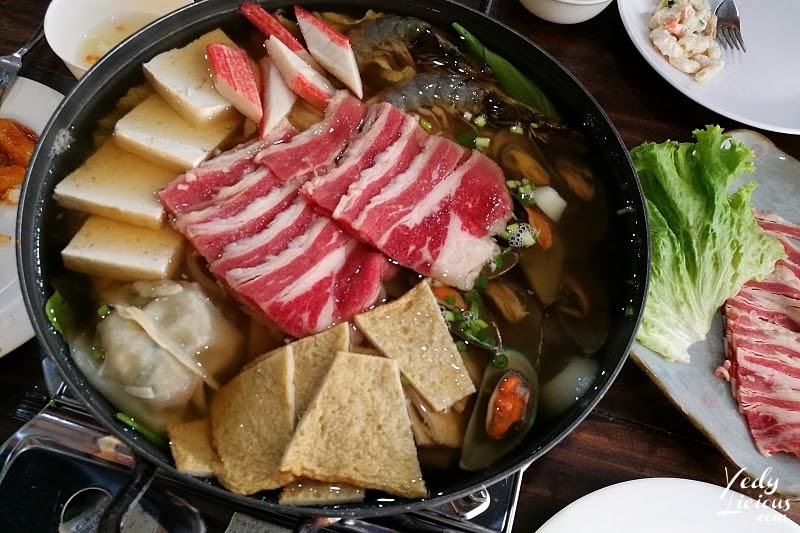 If you are not a hefty eater and limited variety isn't really a problem for you, then this can be a good option if you want a hearty warm hot pot meal. A two-person order size includes a serving of thinly sliced meat. 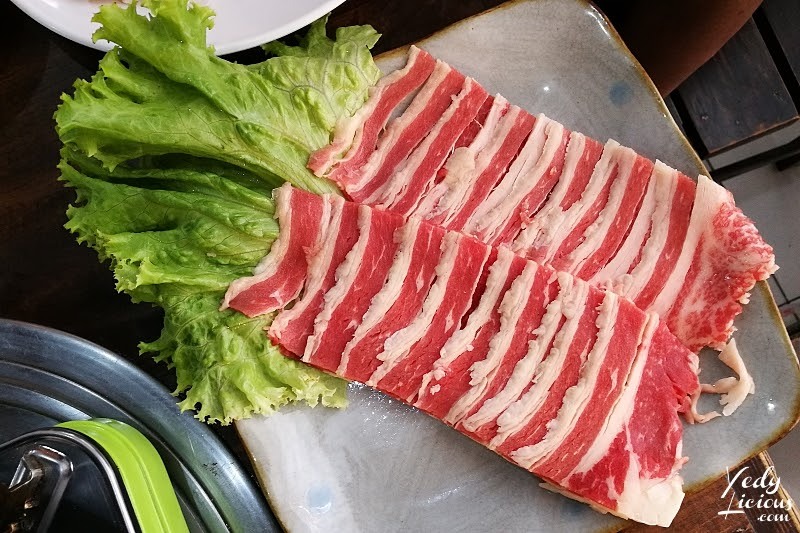 I am not sure if it is always beef but my cousin who go here often told me that they were once served thinly sliced pork with their shabu-shabu and then thinly sliced beef the next time they came. I guess it depends on the availability? 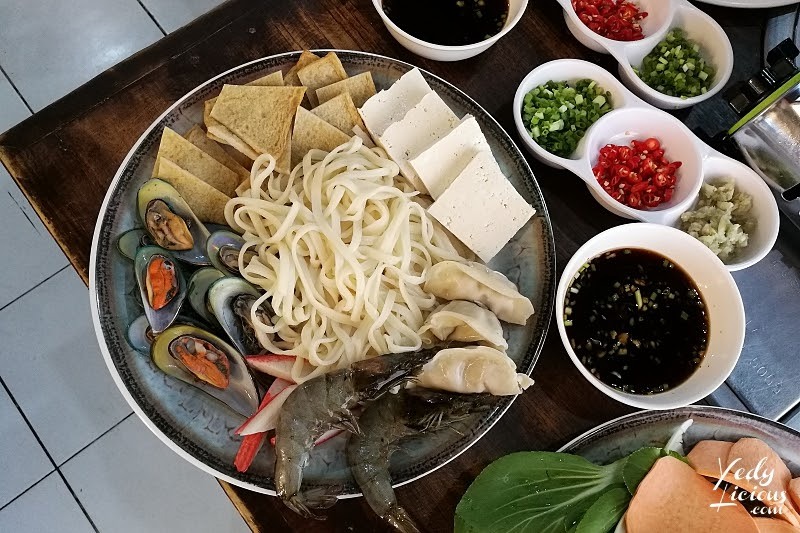 There's also a platter filled with mussels, sliced imitation crabsticks, two pieces of prawns, three pieces of dim sum, four pieces of tofu, and slices of fish cakes, and a handful of flat noodles. 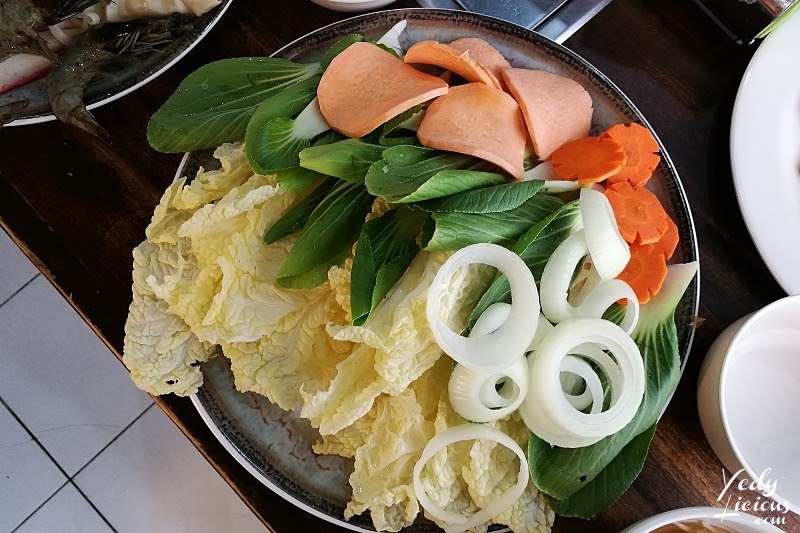 There's also a platted of different vegetables and two sets of soup condiments which you can use to flavor the shabu-shabu broth. Again, it is not unlimited hence, what you see here is probably what you will get. 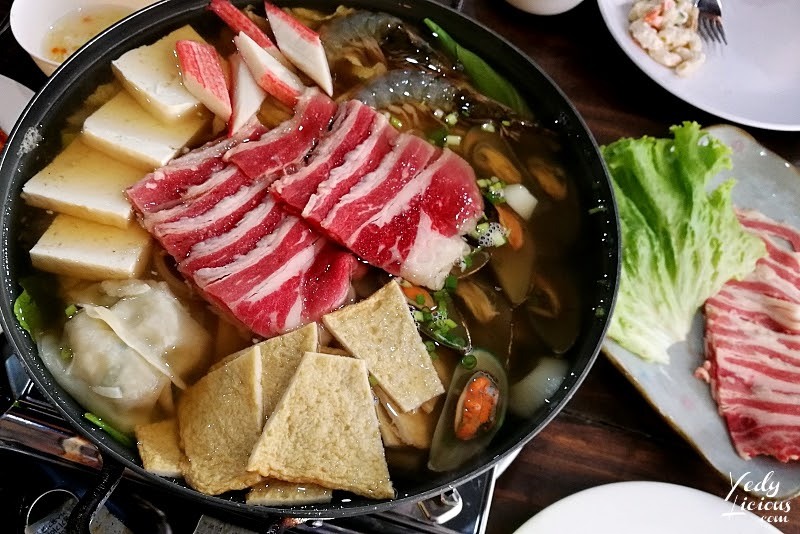 The secret here is to build a really nice flavorful broth so that you can enjoy the shabu-shabu to the fullest. 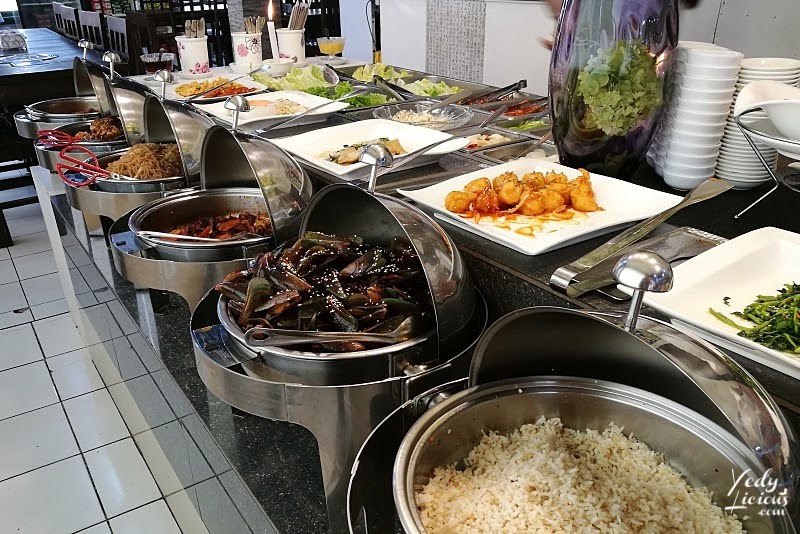 Otherwise, reserve some space in your tummy for other delicious dishes that you may enjoy from the buffet spread. The price point at Don Day, I must say is reasonable enough. The rate for the buffet only is Php275 per person. 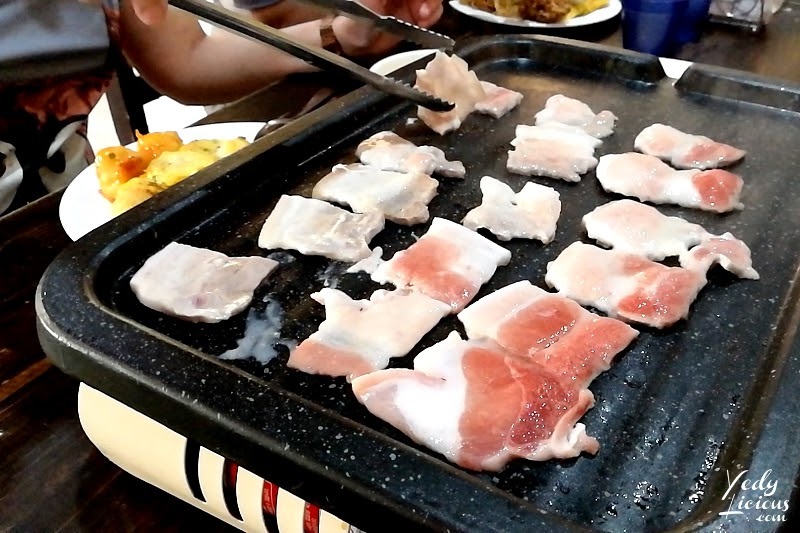 Unlimited samgyeopsal (pork) with buffet is Php335 per head. Unlimited chadolbagi with buffet is Php445 per head. 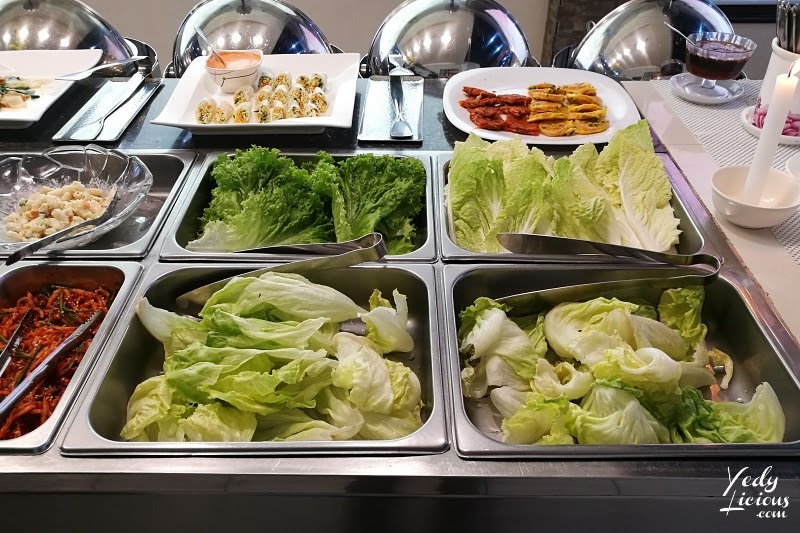 Unlimited samgyeopsal and chadolbagi with buffet is Php399 per head. (Yep, it is cheaper than the beef + buffet option for some reason), and the shabu-shabu with buffet is priced at Php399 per head. There's strictly no sharing on their unlimited meat. The shabu-shabu however can be shared within the group, but again, there should be a minimum of two orders. 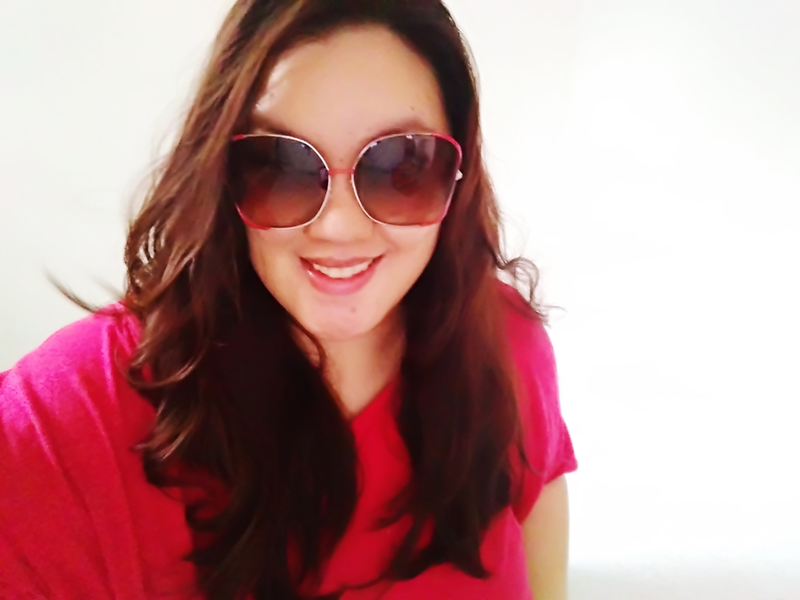 I must say that despite my not-so-nice experience at Don Day before, I am glad that I somehow enjoyed the previous visit I had with my sister and the family. 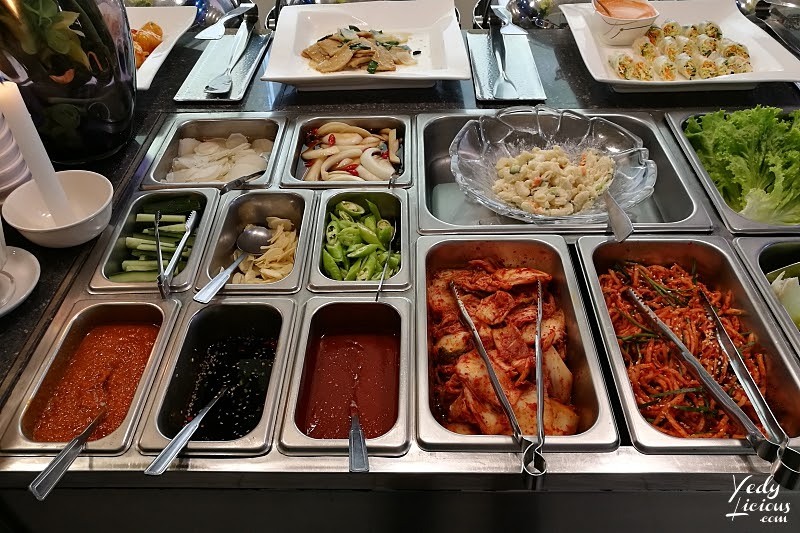 I like most of the options on the buffet spread especially the japchae and the tteokbokki. I also appreciate that their kimchi is always delicious. I also like their shabu-shabu hot pot. Some say that the serving is too few for two person considering the variety was very limited and the price is bit steep. But I think, it was good enough serving since you will get to enjoy all the other dishes on the buffet anyway. 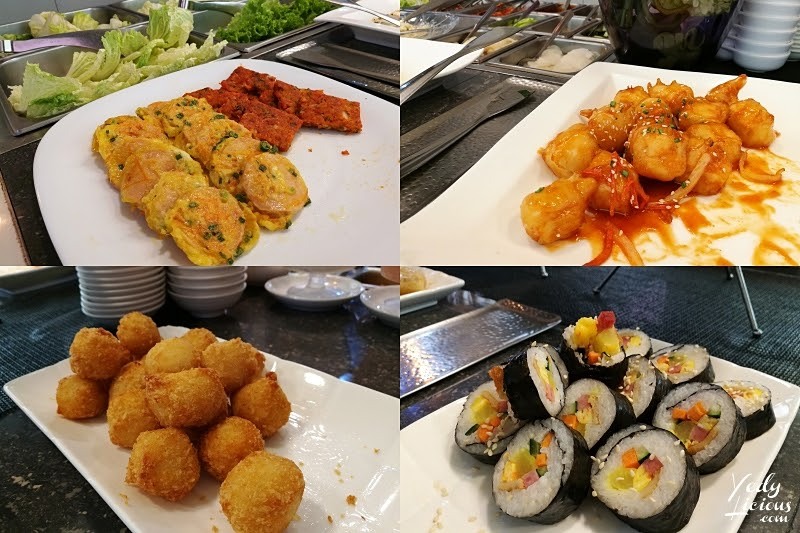 Also, since they are now clear on their buffet rules and I never felt like they deceived us the way they did before, I can say that yeah, Don Day Korean Buffet deserves a second chance. 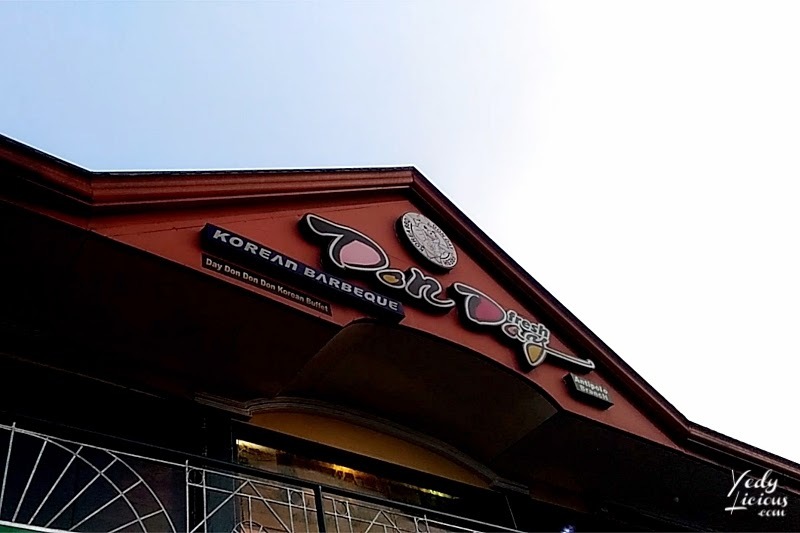 Lastly, I also created a simple video of our recent visit at Don Day Korean BBQ Buffet and posted it on my YouTube channel which you may view here. If you love food videos, from simple recipes to food trips, consider subscribing to my channel. Thank you!